In 2005 a team of Japanese astronomers leaded by Kazuhito Dobashi used a data from the Digitized Sky Survey I to create a comprehensive catalogue of galactic dark nebulae. This image shows the dark cloud Dobashi-4298. 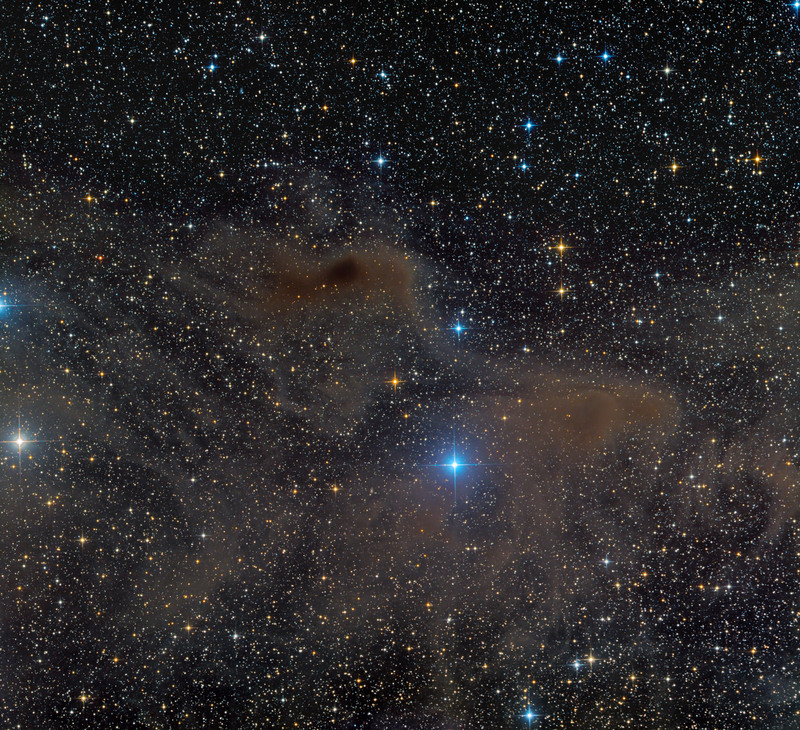 Situated in the constellation of Corona Australis, not far from much more prominent reflection nebulae NGC 6726 and NGC 6727, it is a part of one of the closest star-forming regions to the Solar System - a dusty dark nebula known as the Corona Australis Molecular Cloud, lying about 430 light years away. L:3x10min,R:3x10min, G3x10min, B:3x10min, Bin 1 Total Exposure Time 120 min.